The story about More 55 began some 15 years ago, when the charter company with the same name opened their door on the Croatian coast. Fifteen years later, the accumulated experience in charter business, combined with a vision and expertise of the finest naval architects and engineers, has resulted in the final product, a brand new sailing yacht. 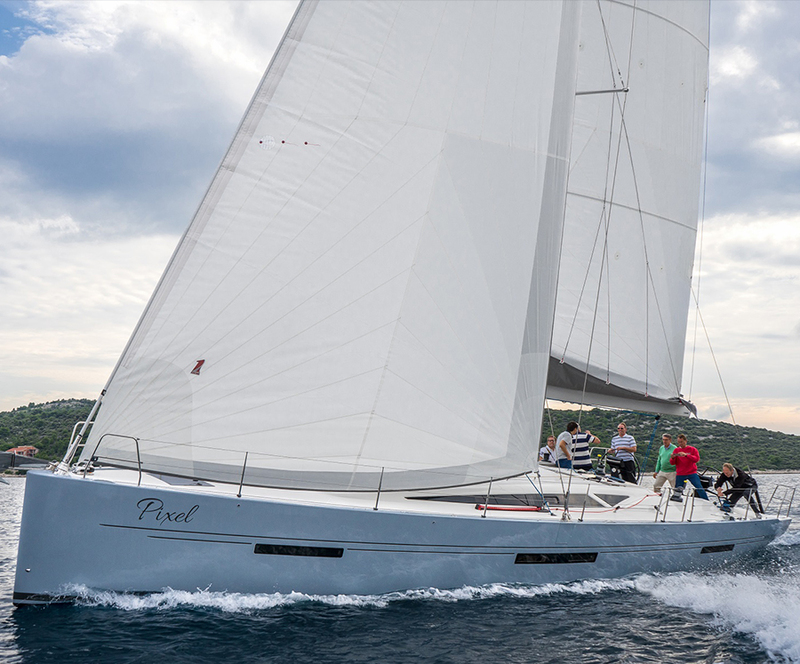 More 55 is a performance cruiser built to satisfy all those who expect high speeds and racing full of adrenaline, as well as those who prefer easy handling and leisure family sailing. I can say that More 55 comes in the right moment because it seems that this concept is apparently the latest trend worldwide. This sailing yacht is designed by the renowned Italian designer Maurizio Cosutti, who engaged all of his instincts and experience with sailing yachts to create this boat. The appearance of the yacht is classic, but at the same time futuristic, with a long waterline, three crossed crossed keel-stepped mast, minimalistic deck and wide, spacious and functional cockpit. 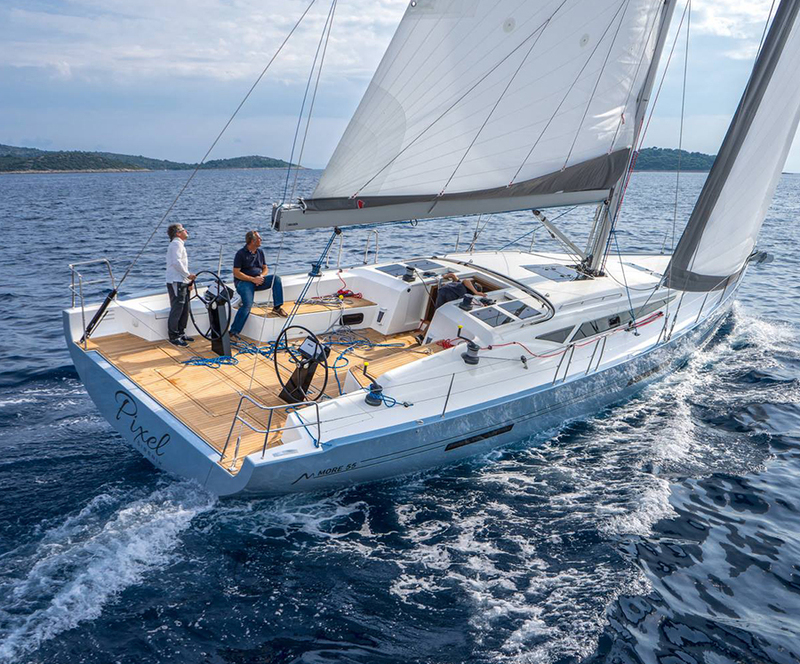 More 55 is equipped with twin steering wheels, while its mainsail sheet with German sheeting system is hidden below the teak floor. This system works pretty fine, but extra care is required when jibing. The one who is in charge of the mainsail has to have full control over the sheet during the maneuver in order to avoid the sheet getting stuck in the steering system. After all, this has to be done on any yacht with such system. The floor in the cockpit also hides two dining tables, which can be connected into one big table, while the entire area can be covered by a bimini top. Moreover, the sprayhood is stored in its own garage when not in use. Speaking of the garage, there is a large one below the deck, where your dinghy has found its place. 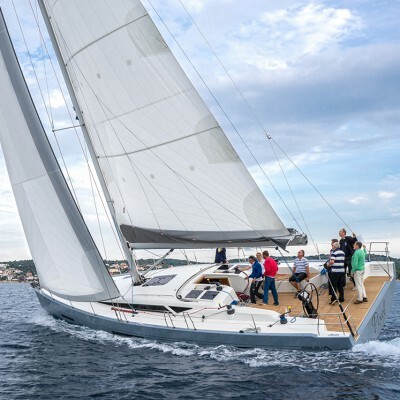 More 55 is meant to be sailed with an 88.9 m² mainsail attached to the mast, which is 25 m high in total. A 105% genoa surface measures 80.15 m², while the recommended gennaker is as big as 220 m². Impressive digits, that’s for sure. But that’s not all: the sailing area can be tailor-made according to your special wishes and demands. More 55 is powered by a 110 HP Yanmar engine, and is equipped with two fuel tanks and two water tanks with the capacity of 550 l and 750 l.
The interior layout comes in several versions. The so-called full charter version consists of 5 cabins, 3 heads and a skipper’s cabin in the bow. 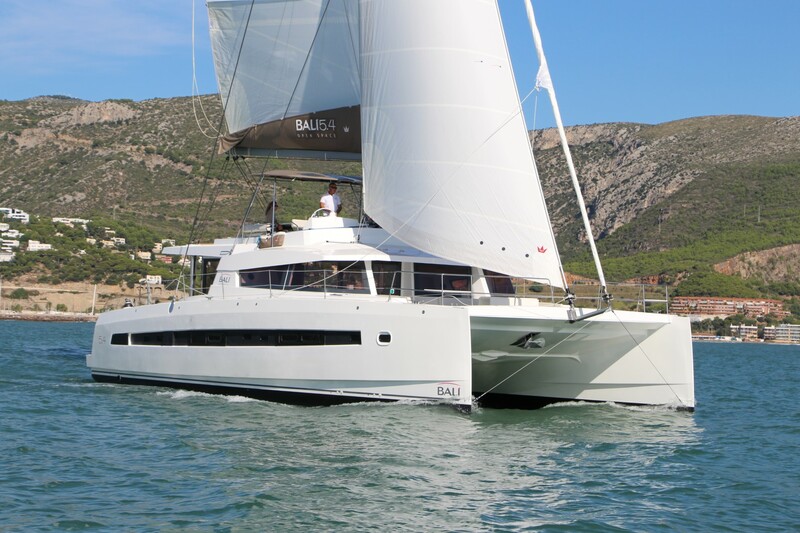 The version with 4 cabins and 4 heads, along with the skipper’s cabin, which can be used as a sail locker, is considered a good compromise between the charter and family versions. Finally, the version with 3 cabins and 3 heads is the full owner’s version with the most comfort. A special attention was given to the materials and functionality when designing the interior. The manufacturer claims that all the woodwork was done using real teak handpicked in Burma, dried for three years and then treated. Whatever the truth is, the interior woodwork looks pretty solid, it is not too robust and seems to be durable. The floors are made from Alucore aluminum with wood-looking finish laminate. This combination should guarantee that the floors are moisture-free. Cushions are made of nano-technology Aqua clean materials, which makes them long-lasting and makes them easy to maintain. After all, the interior is designed by Bobic Yacht and Aircraft Interiors, proving that this yacht is a serious business. 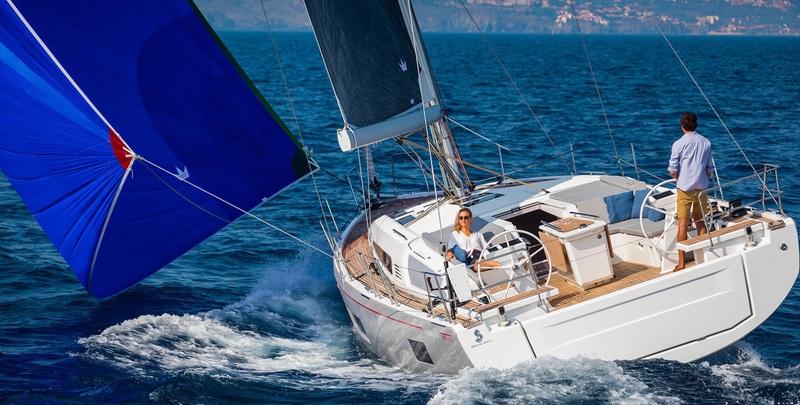 More 55 was launched back in 2015 and has been displayed at several boat shows where it was accepted by audiences, who have shown a remarkable interest. The charter season of 2016 should put the yacht in charter business and on the racecourses. 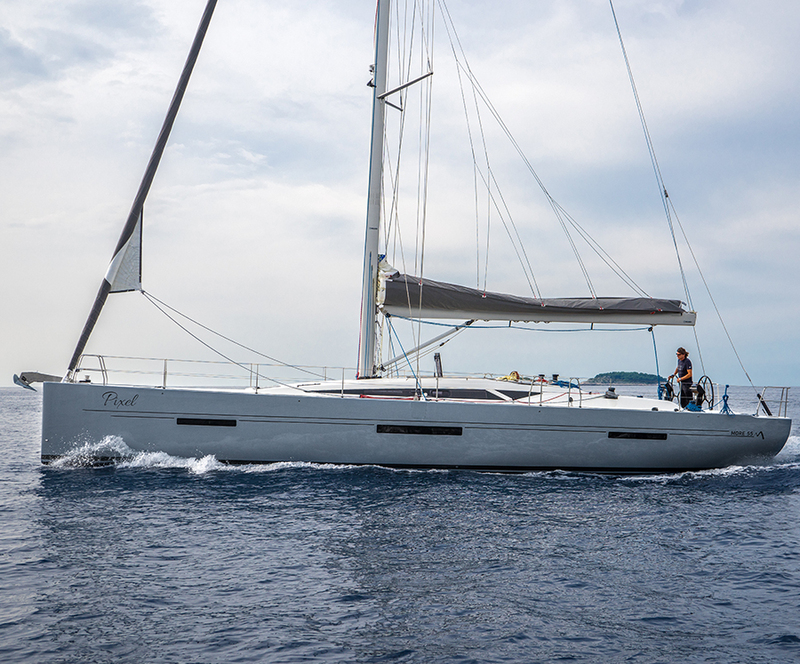 More 55 is offered for charter in the Adriatic and the Caribbean, while dealerships are already established all over Europe. To conclude, this yacht definitely has a value and will absolutely be a respected player on the trendy performance-cruiser market. I wish you a calm sea, fair winds and a strong mast!